In the case study above, something happened that made a 10 and 20 bucks the prestige point. Has it ever happened with you where you don’t mind parting with 100’s while giving away an extra 10 or less is unthinkable at that moment? The reasons sound so logical that you stand by and fight to defend your decision of not giving. What are you saying at this point? What message are you passing to the Universe? “I don’t want to give this person or spend on that thing.” according to you but what you are actually saying is “I don’t have it to give you or to give this person or spend on that thing.” You are so convinced that you do not want to spend your resource(s) on this. Let’s understand this closely, “in your mind, there is a categorization or chambers according to which you budget the resources.” If there is a category where your resources run low you will not be able to extend the expenditure of the resource(s) here. Your willingness to see the larger picture. Your willingness to accept the learning and move on. Your willingness to notice your resistance. Your willingness to not use shortcuts. Thinking/words that are limiting in nature is known to you and has been part of you for a long time. Therefore, using these words/thinking comes easy, even though the fact is that there are better words to express. Usage of this language is ‘shortcuts’. Instead, if you are willing to assign time and effort on the thinking/words that will benefit you. I did not mean that. I did not mean to say that. I have said it. And it has yet to come true. Yet to manifest. A little bit of ‘effort on words’ goes a long way in communication. Revisiting the earlier case study: “If the lady meant to say, “I really don’t want to give you because I don’t agree with your demands. I cannot agree with you at this point.” Suppose the guy pursues the conversation. She could have stood her ground and said, “You need to be able to explain better why am I to give you anything extra.” If the guy was still able to explain then the lady could give herself a chance to reconsider or refuse. But, because both parties have had enough chance to communicate. Chances of situation resolving in a better vibration are higher. From this ‘what if’ example you could learn that many times, many of you have in a hurry ended up affirming what you truly did not want to in this way. Give your words your time, energy and attention. Say it right! And Receive what you rightfully have asked for. May you receive best of everything! This entry was posted in Uncategorized on April 30, 2017 by IAD Life. Message from Reena Yadav on 4th Anniversary of IADLife Welfare & Research Centre. Started swimming towards the surface. The answer I received from my inner self is the most honest answer. For 4 years, I have held the fort with the right support system at IADLife. The right support system has come in our lives at the right time for the right creative purposes, be it service providers, clients, counsellors and many other people. I have moved in the direction with IADLife that life presented to me. While I grew professionally, I also worked on my personal aspects of my life. I walked through my insecurities. Whether they were my physical insecurities as I am an amputee or financial one as I am first-time business women, an entrepreneur who is still learning the nuance of earning through this business of healing or insecurities related to my co-creation of my family. I have learned that people have come and have left from our space for right reasons. When they come I welcome them eagerly and when they leave I thank them and let them go. The thing that I visibly see enhanced in my life is my willingness to change my life and my understanding of what change truly means. I have worked towards my self-growth every single day in past 4 years in IADLife. There have been no holidays in my self-growth and no breaks. There have been only breakthroughs and ‘revelations’. Most of these revelations I write as IADLife Posts. In last four years, I have learned a lot and I know as long as I am on this planet I will continue to do so. My willingness to share this knowledge with anyone who is willing to hear has been making me better and better as a life coach. This I can vouch for with all my might. I am getting better at my business aspect as well. It took me some time but I did realise that I am in this line of work because I care. I have not once shied away or dodged from a question that has come my way. I have answered every one of them. Questions came from clients, extended family members and other people. I know for certain I am only getting better at answering them. It’s only now that I realise that only reason I did not get the help from those of who decided not to support, was because only I could have done this work in IADLife in the way I am supposed to. For IADLife and me, the only way forward is the way up. And we are climbing step by step. I don’t work out of fear, but I do get scared sometimes. The good thing is we don’t have any other choice but to move forward. So we have made moving up as the way forward our priority. I am grateful to IADLife to have come to my life when I most needed it. I am grateful for all the experiences that I have in IADLife. I am grateful to all the IADLife clients. I am grateful to all who have heard me, discussed with me and/or read me. I keep an eye on the near vision and I have the gratitude of a very far and very large goal for IADLife. I will remember to share with you as we achieve them. It will be my honor and privilege to do so. Thank you for reading. I am grateful for every learning, teaching and every achievement we have had in all these four years in IADLife. I only wish for what is the greatest and highest good for me and IADLife. Your contribution has been highly appreciated, it’s your blessing for us. Please continue to shower us with your kind blessings in future too. 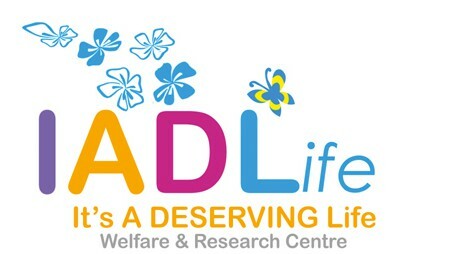 IADLife founded on 30th April 2013. This entry was posted in Uncategorized on April 28, 2017 by IAD Life. Whether it is in layers or runs parallel. Both are equally necessary. Both complement each other. You have healing area wise for example relationship, health, money. These run in parallel. Healing can be happening or needed in more than one area at the same time. This could, however, be at a same, similar or completely varied pace. In each area, healing requires to happen ‘one layer at a time’ and ‘one layer after another’. These are your learning in each area for example forgiveness, gratitude, self-love, self-value, value for thoughts. Same or similar learning can be common for more than one area in your life. In each area, it is a mandatory requirement for the previous learning to be covered or completed in order to move to the next learning. There is no skipping of a layer. There is no jumping a layer, in a way to return to the previous or earlier layer when you think you are ready or comfortable to address it. It is not like handwritten examination paper where if you find question number 2 difficult, you skip it. You jump to finish the rest of the paper and suppose after question number 7 you suddenly remember the answer to the question number 2 and you feel you are comfortable to write it now, so you go back and answer it. The learning that you have in each area in your life is like an examination process, where the next question appears or is made available to you, only when the previous question has been completed. Also, the answer to the previous question contributes to the answer of the next question. Learning during healing process in layers is exactly like this. If you are able to see the need of healing in one area then it is certain that you need same or similar healing in all areas i.e. one area reflects the healing situation in all other areas too. If it seems to you that in one area say money area you have abundance however in another area say your love life area it seems to you that you have yet to have the abundance. Then, it is suggested that you review your love life area closely. This is suggested because as there is abundance in money area you most definitely have abundance in love life area too. This also indicates that you will need to complete certain learning(s) to have visibility of the abundance in love life area. All areas reflecting the similar life situations are highly beneficial for two reasons. A) The progress or status of one area can report the status of another area B) The process for learning(s) from one area can be revisited to apply in the other area where results are yet to be visible to you. Area for healing can be decided based on where you wish to move forward in life. Learning comes/is realised after a suggested physical action or introspection or external discussion such as counselling. Healing is an on-going process for life. Please be willing to accept it soon. Healing is extensive and multi-dimensional. It is not difficult, it just requires understanding. You need to understand and heal from all directions. Give your healing a regular daily time and attention to understand and practice. You progress and gain the most from this. Please visit the previously written articles about healing happening in layers and parallel in detail. Authority. You may want it. You may say, you can do without it. You learn because of ‘authority.’ Either you accept an ‘authority’ or be an ‘authority’ or challenge an ‘authority.’ You also experience resistance to learning due to ‘authority’. Learning from an example is accepting an ‘authority’. Learning in the process of being an example is being an ‘authority’. People have done lots. Part of that ‘lot(s)’, is public knowledge. You get inspired by this available information. When you choose to do so, you learn from that/them. There are several advantages to this. You are not rediscovering. You are learning from what has already been tried, tested and quality checked. There is reassurance in the times of doubts as it has proof of its success. Learning by example is thus motivating and is with evidentiary support. Even if there is a break then you would know where to come back to. You learn by example and can focus on what works. ‘Being an example’ is another way to learn. To be the example, you do most of everything in the learning your OWN self. You get thorough. You are aware of every nuance of the process. Your creativity is heightened. During the process, you get better acquainted with your talents, skills, and abilities. You invent, the new within you and in the process that you are working on. You will always be the first, ‘to have done that’. Whether you learn by example or by being one, if you have the willingness to know and understand the process while you implement it in your life, then that will make you an excellent imparter. Of course, the choice is entirely your own. If you choose to learn, implement and share then that presents a brilliant chance for you to be a teacher. You will be a teacher that walks the talk. Also, know that you can decide to use the knowledge for your benefit only. Sometimes when you are following someone else’s example to learn, you yourself become an example for someone else to follow. So an excellent proposition is to be both i.e. learn from and by being an example. Do so as and when the circumstances call for it. You will learn more. When you learn from an example you may feel safe and comfortable with the available guidance and guidelines. You know the possible outcomes and you know ‘how’s’ of the journey. You know exactly who your teacher(s) is/are. When you learn by being an example it’s interesting with a mixed bowl of emotions to accompany. Possibilities are infinite and the journey is new. You don’t even for a long time in this journey know that you are being an example. This is because you are concentrating on your learning. When you learn by example you support many like yourself just by being one of them. Your mere presence in the specific groups, your questions, comments, feedbacks is adding data to all your fellow group members. When you learn by being an example you are a pathfinder, because that is the only way you have to move forward in your learning. You gather all that is required; the ways and means, under all circumstances, do all that is necessary to complete what needs to be done. Learn and/or be an inspiration to learn. Learning is important. It helps you to know your own self better. So never ever stop. Always find reasons to continue learning. This entry was posted in Uncategorized on April 26, 2017 by IAD Life. Place the center of your palm on the neck area. Stand in front of the mirror, look into your eyes and say this affirmation 10 times. Notice and note the change. The throat is the center of change. I am grateful to Louise L Hay, from whom I have learned this. Therefore, when you have the irritation or discomfort, during a thought, conversation, listening or sleep, it is because of the resistance to change. This is a good sign. As this is also an indication that change is here. What does ‘Change’ mean to you? Does it mean NEW or does it mean unknown! Does it bring excitement at the pretext to doing something new, different or more? Does it bother you that it might be a lot of additional work? “I want to change for you.” Have you heard of this one? You may have wanted or you may want this for yourself or from someone. You could want or you could have wanted to change for someone or something. You could want or you could have wanted someone to change for you. Let’s look at these …..options/situations/ ‘wants’ a little bit in detail. You want to change for someone or something. What happens when there is a variation of this someone or something in your space. Will you still continue or conveniently put the responsibility of change to later or just quit. Who is to gain the most from this change? Answer this honestly to yourself. If the answer is YOU then, only you can be best suited to take the responsibility of your change. No one else. You want someone or something to change for you. This is very flattering. This is also a big responsibility. So, ask yourself are you ready to be responsible for someone else’s change. While you ponder over the above points, do consider this important INFORMATION too. You could look at an outside factor for the motivation for change. Acknowledge it as an external factor. Utilise it as motivating factor for your change. But, continue to explore and narrow down the internal factor(s) for the motivation for your change. You could be the motivation for someone’s change. You could very well take the responsibility. Because you can. You could also motivate him/her/them to look within and search for a permanent motivation. Because ultimately it is the internal motivation which is going to bring out the changes. Changing for anything external will fluctuate as the external factor has it’s/their willingness. Change is important. Change is necessary. Change is the way forward. Change is certain. Change is growth. Changing for internal factor or self is the real and actual change. When you accept this understanding of ‘CHANGE’ then ‘change for your GREATEST and HIGHEST good’ only. For this is the most beneficial kind of change. This entry was posted in Uncategorized on April 25, 2017 by IAD Life. Difference between Questioning & Having questions is same as doubt & curious with faith. The way to have the right answers that direct you to the right path is to have right questions. The major reason for being confused and/or being lost is; you don’t have the habit or you don’t give yourself permission to ask questions. If you are this, then you are likely to not like receiving questions either. In this case, you are either becoming ‘frog in the well’ or you are constantly reinventing the wheel. All your creative resources ‘time, money, energy’ would be going into either understanding the knowledge that you have collected from various sources medias and books or it goes into ways and means into convincing yourself that you need not or are not supposed to ask. When you don’t ask questions, you don’t receive answers. When you don’t have answers, doubt creeps in. Then you are constantly questioning. When you ask questions easily and freely, you have answers. This gives you enough knowledge. Knowledge is clarity. Clarity gives the confidence to have courage. Courage gives experience in facing life situations. This gives faith. So why don’t you ask questions? Your past experiences are what dictate this behavior. Now you can decide to change that. When you know that you can ask, you are not afraid of new, unknown, unexplored. So do allow yourself to ask. If you notice most of the skeptics are into questioning. It seems like they are challenging the bearer of the answers; person, books, media or anyone else. This could lower the vibration and cause friction. When you understand that these skeptics are untrained ‘questioners’ who do not know that they can have a question and they are entitled and thus will receive an answer. Clearly, this concept has been denied to them in past and they are still approaching their present with the past behavior. So, if you have had a background of inexperienced questioners, that is if you have been stopped and/or snubbed during the questioning, then you can start to train yourself to have questions. How to train yourself to have questions? For that, first be willing to know more. Allow yourself to form a question then remove the fear aspect from it. Fear of being ridiculed for asking ‘silly’ or ‘easy’ or ‘obvious’ question. Fear of being rejected of answers. Then never ever stop asking questions. Answers are not always received from people or person. Answers could be received through other mediums. Social networking sites, movies, documentaries, radio, write up in open areas like hoarding, billboards, also through thoughts and of course books. Be open to receiving answers from various sources and in various forms. Many times answers are very different from what you had anticipated. Where you were expecting lengthy wordy answers there you might get subtle yes or no. You many even receive answers in the form of numbers, symbols, pictures or a dialog. Interpretation of answers is based on your existing knowledge and belief. Sometimes answers lead to new questions. Be persevering in getting the answers that make sense to you by a follow-up question. Once the answers are received, there could be you who can delayer it for yourself and others so that you remember and recall as and when need be. Then there could be you who get the answer but don’t need to further delayer as understanding itself suffices. Having questions comes from a surety that it will be answered and you shall be able to understand it. Ask questions out of curiosity to quench your interest. Promote yourself to ask questions. This entry was posted in Uncategorized on April 24, 2017 by IAD Life. “Loving” is easiest yet most difficult practice of all the practices. Still, there are times when you promise to yourself that you will love yourself when you fulfill a certain condition. But, what happens when you do not meet the condition. You don’t give yourself love then, what replaces that space. Doubt, anger, irritation is expressed instead. You act on impression of you formed by others behaviors, words, and gestures. That seems to increase or decrease the loving that you have for you. You use ‘loving yourself’ as an incentive, a reward that you give to yourself with every pleasing word or gesture from an external party. Time and again when you have not reached your expectation, you have decided not to love yourself. But, hurt does not heal by enduring further hurt. Most of the time when you are hurt you look at others to be kind to you because you feel incapable of loving yourself. Know this very clearly, if you are attracting love from others then, you do love yourself. If you are getting hurt by others, you really need to re-route your attention and hope, towards yourself. This may or may not take long but it is the only permanent way to get a steady flow of love. You wear your best clothing when you meet others. You use your best crockeries and arrange for best dishes when your favorite guests visit. You are at your finest behavior when you are pleasing someone important. You work hard in studies or professionally to impress a superior. You need to know that you are the most IMPORTANT person on this planet, in YOUR SPACE. Now picture you wearing, being and doing the best for yourself. Others enjoying you at your best is a bonus. Addressing yourself in the mirror is a well-known practice for expressing ‘loving yourself’ suggested by Louise L Hay. The practice itself is easy. Go in front of the mirror look into your eyes and talk. What replies you get initially, sometimes is difficult to handle. You might want to quit. Please carry on this practice. You could start by saying ‘hi!’ to yourself with a smile. As you start to connect with yourself and you could have short conversations and give yourself compliment or best wishes. Then eventually you start to trust yourself and have wonderful conversations and consultations. These practices can be done out loud or in your mind. EFT/tapping while you say loving affirmations for self is yet another way, especially when you say wonderful words that do not convince you about you. Again you could start with few minutes and then let yourself decide how long you wish to do this. When you recognise loving words or gestures from anyone other than you and that makes you feel good about you, you deserve to know that it is, in fact, the reflection of your love within you. Then, for something that easy, something that simple, something that available, do you still need convincing! To know what the benefits are, do the practice and see the results, for yourself. This entry was posted in Uncategorized on April 23, 2017 by IAD Life.